The gunners faced Manchester United on Wednesday and the match ended in a 2-2 draw after both clubs showed that they were fighting till the end to get all the three points. Matteo Guendouzi started the match because Granit Xhaka was out due to suspension he received for getting five domestic yellow cards. Matteo Guendouzi bossed the Arsenal midfield throughout the whole 90 minutes even though he is just 19 years old and one thing that has trended on the internet is Manchester United’s Marouane Fellaini pulling the hair of the Frenchman in a bid to stop him from getting away from him. Unai Emery held a pre-match press conference today ahead of their match against Huddersfield Town this weekend and he was asked on what he had to say about Matteo Guendouzi’s hair getting pulled by Marouane Fellaini. The Arsenal boss jokingly said that the best option for Matteo Guendouzi would be to cut his hair like Marouane Fellaini. “I think the best thing for the next match is for Matteo to cut his hair, and this problem is finished!, ‘Like Fellaini did!” Unai Emery jokingly told Arsenal’s official website. 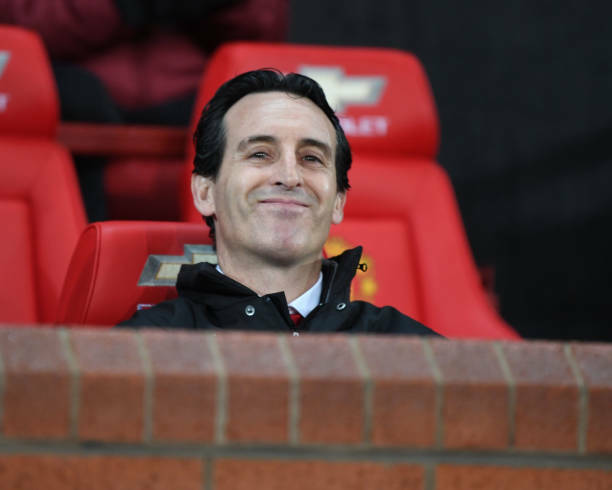 Unai Emery also said that he believes that pulling an opponent’s hair is something that has happened in the past but claims that it’s different these days because the camera records every action, and he said that he believes it’s in between the players. Unai Emery was asked if he has shared the idea of Matteo Guendouzi cutting his hair with him and he said that he didn’t because it literally was a joke.